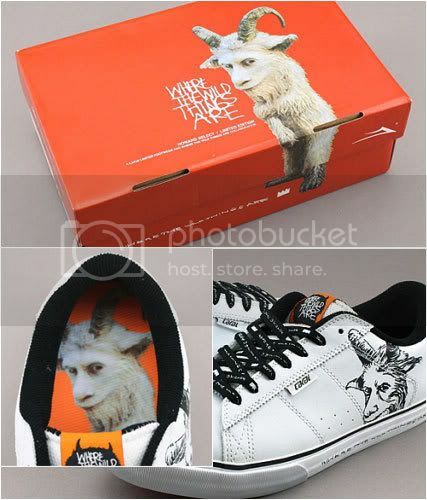 how many pictures are they going to release with the back of the Wild Things heads? / this looks awesome. Nice. 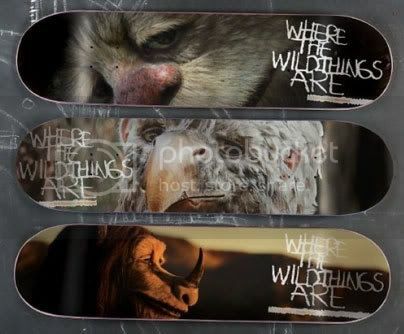 Spike Jonze's skateboard company, Girl Skateboards have provided the first real look at the monsters of his upcoming "Where The Wild Thing Are" adaptation. Sure, four or five images have already leaked, but this is the first real and true look at their faces and expressions and they tell so much. They're pretty creepy and scary, so maybe this is why kids were reportedly freaked out the notorious early 2008 test screenings? No matter. They look fantastic and Jonze and co. look like they're on track with the look, tone, feel and aesethetics of the film. We're not ones to salivate and pant, but we're almost there. We're excited. I wish I was the kind of person who had money to spend on things to hang on my wall. I would hang one of those on my wall. This is torture. I just want some real footage! A teaser trailer. SOMETHING MOVING FROM THE FILM. i'm loving everything i've seen so far. though this last round of photos is going to make the months of anticipation crawl by. a trailer might freeze time entirely. The first trailer for Spike Jonze's WHERE THE WILD THINGS ARE will be enclosed with prints of MONSTERS VS. ALIENS next week. I've gotta play devil's advocate on the poster here. Every picture we've seen from this movie so far has been beautiful and evocative and real, and then this poster comes along and it's just big and flat and fake-looking. The tagline is awful and awkwardly placed, and the hand-drawn typeface feels too cute by half; there might as well be a backwards "e" in there somewhere. Ironically, this poster is the first image from the movie that I would not want to hang on my wall. Now that I've got that out of the way, I can go back to anxiously anticipating every bead of information that drips out about the movie. Can't wait for the trailer! Suddenly I want to see Monsters v Aliens. The poster isn't as good as the other promotional stills that have come out, but the poster could be A LOT worse. I think it found a happy medium between Spike Jonze's artistic vision and the studios insistence on it being a by the numbers family film. Are you trying to say you don't like Pablo Ferro? There was some confusion to the soundtrack of Spike Jonze's live-action adaptation of "Where The Wild Things" last week. Some thought the Arcade Fire and the Yeah, Yeah, Yeahs, were involved. We said, nope, this is untrue (it's possible the Arcade Fire could have a song in their somewhere - we doubt it - but so far officially, only one of their songs is being used in this week's upcoming teaser trailer). But as we've been saying all along, Karen O of the Yeah, Yeah Yeahs (just her!) and composer Carter Burwell (who wrote the score for Jonze's "Being John Malkovich" and "Adaptation") were the ones composing the score and writing songs for the film (dude from Deerhunter/Atlas Sound helped out, but didn't do any actually songwriting that has been credited; though he surely helped with creating sounds). Now there can be no mistake with this above screencap of the official credits scanned by the folks at the fan site WTWA (click on the image for a larger version). These credits all give further credence to our posit that Tom Noonan's voice has been replaced with Chris Cooper's as all the voice actors are listed but Noonan's is noticeably absent (but then again, so is Paul Dano's voice credit). However, there are 7 monsters total and 5 voice actors in the credits (James Gandolfini, Catherine O'Hara, Forest Whitaker, Lauren Ambrose and Chris Cooper), plus Dano and Noonan makes seven, yes? Well, no The Bull is a silent character that doesn't speak according to USA Today (and yes, he doesn't speak in the original script either; though he did speak in the test screening briefly). 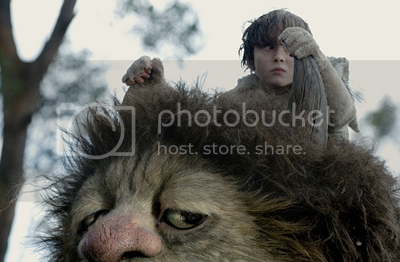 Has Tom Noonan's Voice Been Replaced With Chris Cooper's In 'Where The Wild Things Are'? 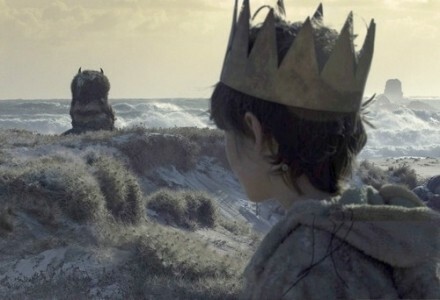 When it comes to Spike Jonze's live-action adaptation of "Where The Wild Things Are," we've been a bit of obsessive stickler nerds about finding out every little detail, especially the voice casting (we did a whole informed, but semi-speculative piece on what actor voiced what monster last year). And we and anyone else who's been following closely has been thrown off a few times. When Warner Bros. first posted their 2009 online schedule in December, most of us were shocked to hear that Mark Ruffalo was part of the film. Casting had out there for years, but somehow his participation had eluded most of the online press (it turns out he plays Catherine Keener's -- Max's mother -- boyfriend in the film, which is a small part in the beginning). But even in November we were surprised even more when it was casually mentioned in a long AICN feature with Spike Jonze that Chris Cooper ("Adaptation") had all off a sudden voiced one of the creatures; and his name had certainly never been mentioned before this. Voice actors have been replaced on the film already. Lauren Ambrose was brought on to voice a character after Michelle Williams voice apparently didn't match the original vision of how the monster should sound. So this new USA Today article is curious because it says Chris Cooper voices "Douglas the big chicken." But when Cinematical talked to 'Wild Things' voice actor Tom Noonan (who appeared in the Spike Jonze-produced, "Synecdoche, New York") at Cannes in 2008, he said he was "the big chicken." 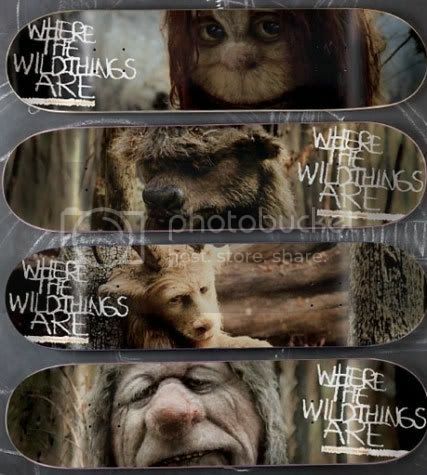 USA Today also mentions all the actors voicing the Wild Things monsters in the photo article and Noonan's name is nowhere to be found (they do however confirm that Paul Dano does voice Alex The Goat). So like Michelle Williams, did Noonan's voice not work out either? Sounds like it. Sometimes these things obviously work out as planned. Either way, from what we can remember from reading the script, Douglas does not have a huge part. We're sure just like Williams being replaced, there's no hard feelings (obviously) and Cooper taking over the part was nothing personal, but it is interesting to note. Who's Max? Why, Max is Max. 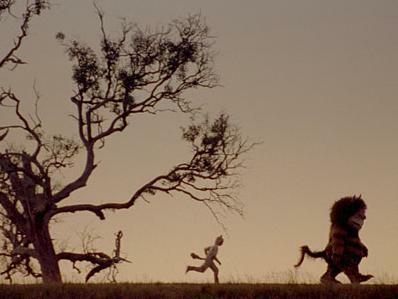 Max Records, 11, is the boy with anger issues who escapes to a land where giant beasts roam in Where the Wild Things Are, the film version of Maurice Sendak's 1963 storybook classic. "It's just fortuitous, kismet, circumstance," says Spike Jonze, who cast Max after a director friend sent him a tape. "I can't imagine anyone else playing Max. Max is the soul of the movie. He's a very special sort of kid. Deep and thoughtful. Sweet and sincere." Audiences will get a chance to check out both Maxes on Friday in a trailer accompanying Monsters vs. Aliens. The Portland, Ore., sixth-grader spent four months on the film, which was shot outside Melbourne, Australia. His parents — Shawn, a photographer, and Jenny, a librarian — along with brother Sam, 7, joined him Down Under. Max has been in videos for Death Cab for Cutie and Cake but has almost no performing experience other than a bit part in school "that was pretty pathetic." Save for Star Wars, he says, "I wasn't a huge movie person. "I'm not into what won the Oscars this year." What he is into is books, and Wild Things is one of his favorites. "It's sort of different and not a simple story." Max, who also can be seen in The Brothers Bloom (May 29), would like to continue to act. "But not gigantic parts. I'm in school and stuff. It's too disruptive." He did get some encouragement — from Sendak himself. "I got to meet him last September," he says. What did the author say to him? "Good job." How do you take a storybook that sparks the imagination and touches the heart with a mere 338 words and expand it into a full-length movie? With the author's blessing, of course. 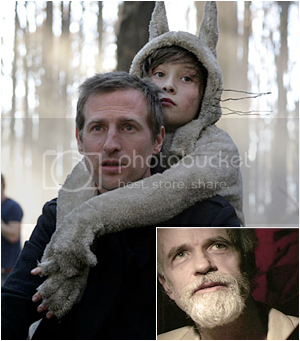 Spike Jonze, a director whose off-kilter idiosyncrasies were on display in his first two features, Being John Malkovich (1999) and Adaptation (2002), has always been drawn to Maurice Sendak's Where the Wild Things Are. "As a kid, I just connected to it. I wanted to hear it over and over," he says of the 1963 tale of Max, an angry boy who escapes to a mythical land of untamed giant beasts. "It's like trying to explain why you love somebody. 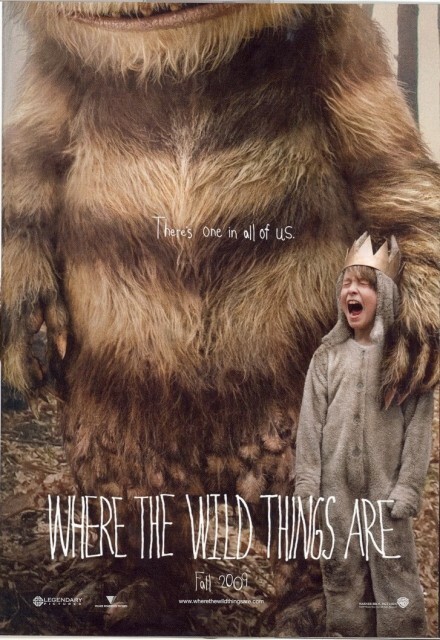 To me, the Wild Things are both cuddly and dangerous. 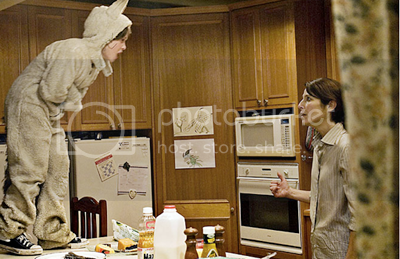 I wanted to climb atop of them like Max." Jonze, 39, has known Sendak, 80, since 1995, when they tried to make a film out of another popular children's story, Harold and the Purple Crayon. About four years ago, the author came to him to discuss adapting his best-known work into a movie. 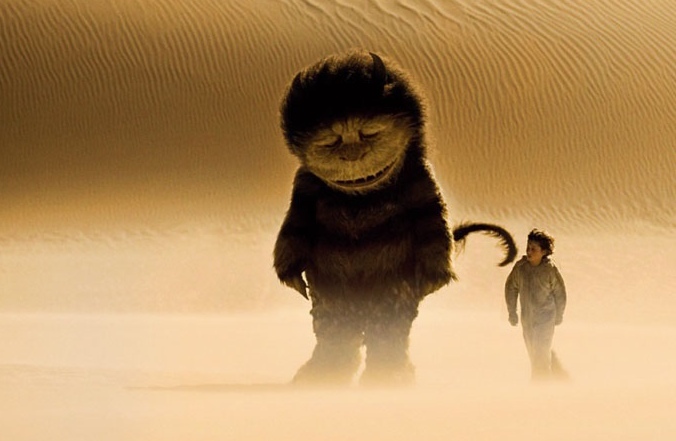 Jonze and his co-screenwriter, novelist Dave Eggers, regularly turned to Sendak for advice as they expanded upon his Wild Things universe. "He was adamant that I make my own thing," Jonze says. "He had strong opinions, but he would ultimately defer to us. He said, 'Make something personal to you.' "
Jonze won't reveal much, but script additions include details about Max's home life that shed light on why he felt the need to run off to a magical place. Actress Catherine Keener, who has appeared in all of Jonze's films, plays Max's mother — a character only briefly referred to in the book. 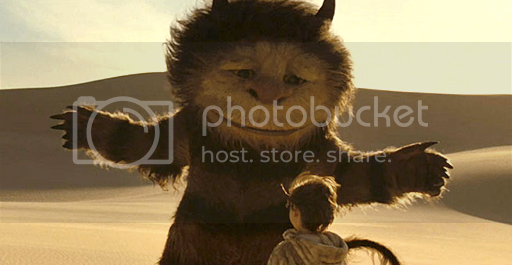 The actress says Jonze is the perfect man to set the Wild Things free on screen. "Spike has such an incredible imagination, and this is very much a work of imagination," she says, "And there is so much room to apply your own." Various animated versions of Where the Wild Things Are have been tried, including one in the early '80s by Pixar's John Lasseter. But Jonze strongly felt that it had to be told with live action. "I wanted them to actually be there," he says of the seven towering creatures that Max encounters. "I think as a kid I wouldn't imagine it as a cartoon. I would imagine they were in my world. There's a danger with Max being there on a real location. Dangerous and exciting." The voice actors — such as James Galdofini, who speaks for the Wild Thing called Carol in the film, and Catherine O'Hara, who is the Wild Thing known as Judith — were recorded in Los Angeles before the production moved to Australia. Though nameless in the book, Jonze decided who was who based on their personalities. What he didn't try to do was to dilute his distinctive style for a family audience. "I never thought of it as a children's movie," he says. "My intention was to be true to how it felt to be 9 years old. Maurice's whole thing is to be honest. You can say anything to kids as long as you are respectful and not pandering."